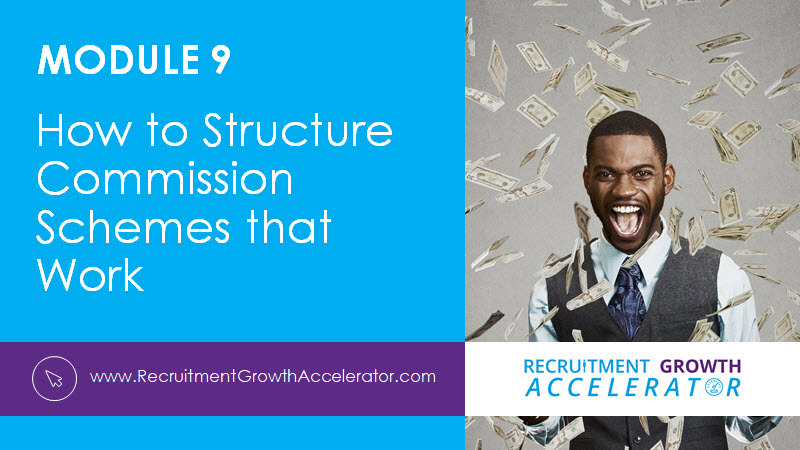 Growing your recruitment business is like constructing a building. "The loftier the building, the deeper must the foundation be laid." Module 1 lays the foundation which we will build upon in subsequent Modules. Don't be tempted to skip over this section because you'll miss key concepts which Romney refers to throughout the rest of the course! If you want to build an extraordinary business - one that creates significant wealth for the owners - then increasing your sales is not enough. You must also increase the VALUE of the business. For most owners, that will require a new set of skills. Many recruitment business owners started out as top billers who were promoted into management. They may have progressed from there to Director level, or left to start their own firms. However, in spite of being good Sales Managers, very few have ever received formal "business training." What are your long term ambitions for the business? Are you clear as to how you'll achieve them? You may (or may not) have a business plan. If so, that's certainly a good start. But a "business plan" is not the same thing as a "strategic plan." And if are serious about scaling your business, you will absolutely need a Strategic Plan. At Select Appointments, Abacus, Judd Farris and other recruitment companies where Romney has been instrumental in significantly increasing shareholder value, a detailed Strategic Plan was, in every case, an essential ingredient in their success. Why should clients do business with you, instead of your competitors? In this session, you’ll discover how to really differentiate your business in the eyes of your customers, so as to gain market share and increase your margins. Romney reveals the powerful "differentiators" that he implemented at both Select Personnel plc and Abacus Recruitment, which gave them a huge advantage against the competition and lead their meteoric growth. He has since enabled many other businesses to successfully introduce and implement them. You can copy Romney's differentiators and apply them to your business, if you wish. 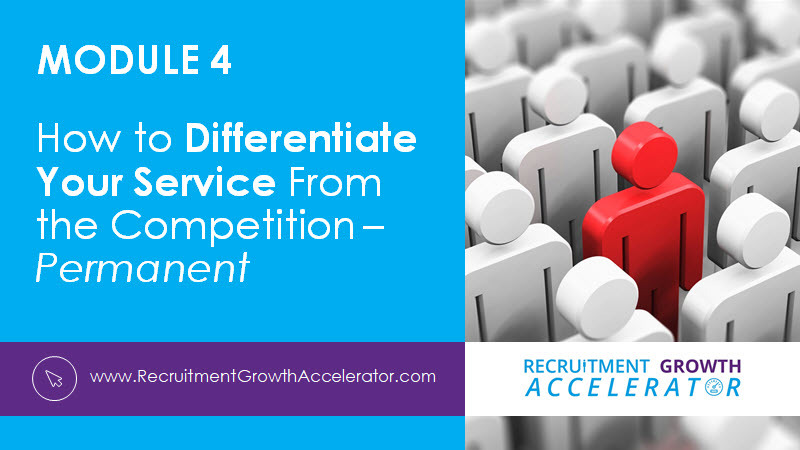 More importantly, you'll be able to develop your own unique set of Differentiators. What have you got that's REALLY different? Does your "USP" (Unique Selling Proposition) pass Romney's Acid Test? Differentiation is such an important strategy that Romney wanted to give you an in-depth understanding of how to apply it to your business. So instead of leaving anything out, we decided to split the video into two parts. 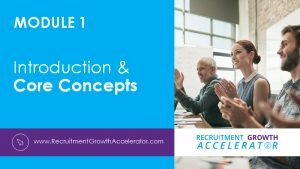 In Part 2, Romney shares 6 more powerful Differentiators that he's implemented successfully in several different recruitment companies. Again, you are welcome to copy these proven Differentiators, or use them as inspiration for creating your own. In this Module, Romney shares differentiators for Temporary, Contract and Interim. Permanent recruiters should also watch this Module - especially the final section on presenting your differentiators. Romney shares his "Golf Club" analogy; you may have a full set of golf clubs (differentiators) in your bag, but you don't get them all out at once. You have to know when to use each club, and then practice your swing. Quality Control Systems for Temp and Perm -- some really good ideas here! You can't manage what you don't measure! If you want to increase your sales, profits and business value then you need data. For example, how can you make a plan to improve cash-flow if you don't know your Average Debtor Days? Likewise, how can you increase your Average Invoice Value if you don't also know your Average Placement Salary and Average Fee Percentage? Do you know the average salary cost per fee-earner as a % of Gross Profit? Do you even know why that would be important? Remember if you're serious about growing a world-class business, then you should "pretend" you're running a publicly quoted company. As the CEO or Managing Director, you need to have a firm handle on your numbers. That's where Management Information Systems come into play. The right way to set targets -- and motivate staff to achieve them! Why focus on profit? As a business owner, your motivations to increase profits might include: earning bigger quarterly dividends, providing greater financial security for your family, enjoying a really good lifestyle, and ultimately having more freedom. But profit is important for all sorts of reasons. Profit generates CASH. As we all know, cash is king! Cash can be used to fund further growth, which in turn should lead to greater profits, which generates even more cash. 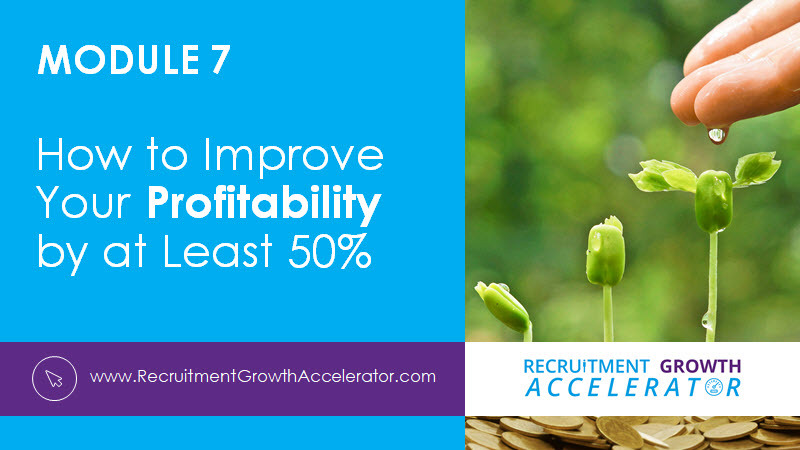 Finally, the value of your business is predicated on profitability. The higher the profits, the more your business is worth. The success of your business rests largely on hiring the right people. It stands to reason that if you hire average people, you'll have an average business. If you want an exceptional business, you must hire exceptional people. However that's easier said than done. 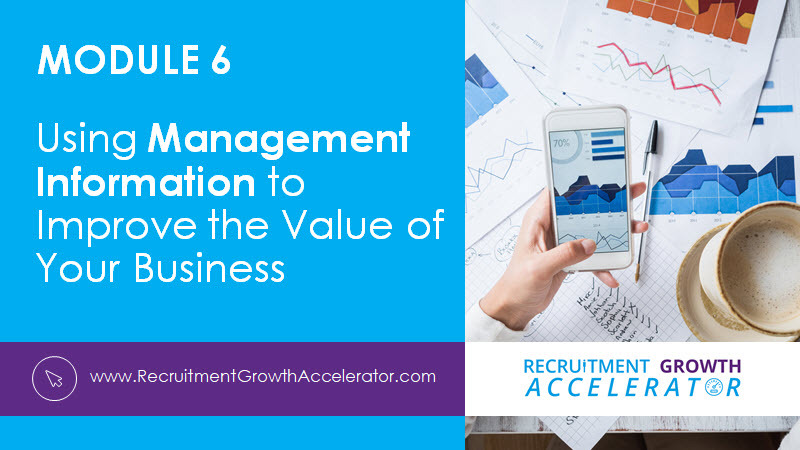 We surveyed hundreds of recruitment business owners, asking: "What is your single biggest business challenge?" The most common response: it's hard to find good people. (The irony is not lost on us either.) 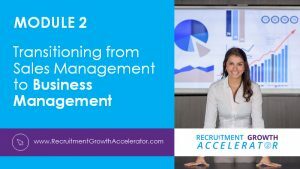 Clearly, the challenge of internal recruitment is a major constraint to growth -- one you must solve before you can scale your business. The 4 key sources of talent -- which of these could you add to your Internal Recruiting Plan? Presenting your opportunity - do you cover these 6 selling points? "How should we structure our commission scheme?" is a question we're asked frequently. It's not surprising in a sales-driven business like recruitment that staff compensation is a contentious issue. Money is important to all of us, and is a subject that both you and your staff will have strong thoughts and feelings about. If you pay too much commission, your profits may be less than you'd like. On the other hand, if you don't pay enough commission that will undoubtedly make it harder to attract, retain and motivate your staff. So what is the solution to this conundrum? While there's no such thing as the "perfect" commission scheme, Romney gives you the methodology for creating a commission scheme that works for YOUR business. What the the pros/cons of these SAMPLE commission schemes? 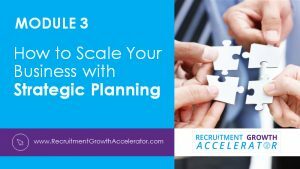 Many entrepreneurs dream of selling their recruitment business for millions, but have no concrete plan for achieving it. 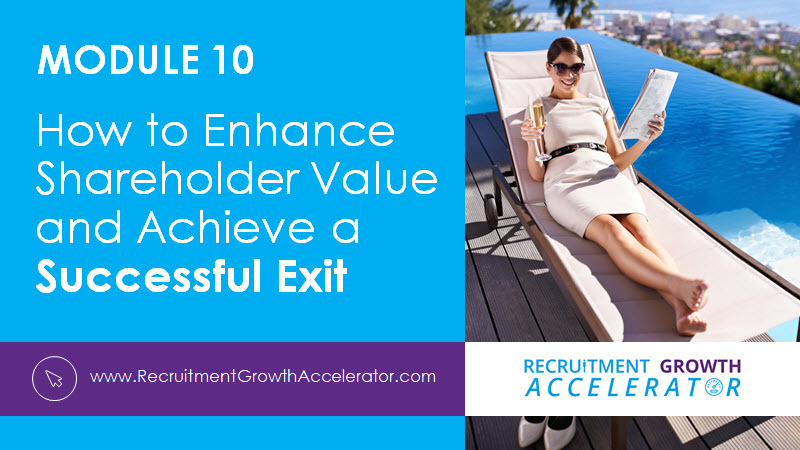 In Module 10, we'll show you the exact formula for creating a winning Exit Strategy. Romney has traveled this road many times and can guide you every step of your journey, showing you the shortcuts and the pitfalls to avoid. What if you have no intention of selling or floating your business. Is this module still relevant to you? Absolutely! Romney uses the analogy of selling your house. You may not have any immediate plans to sell your house but presumably you'd still be interested to know how much its worth and how to increase its value. Besides, every business owner can benefit from building a self-managed business that operates profitably without your day-to-day involvement. If you don't want to sell the business, you can appoint a manager to run it for you. That gives you the freedom to continue earning dividends while pursuing other interests.